You Disney lovers (you know who you are) are going to LOVE me today. And your little Disney lovers are going to LOVE you when you make them this. I’m thinking this is perfect for your trips to Disney. Take this with you and spot it poolside! 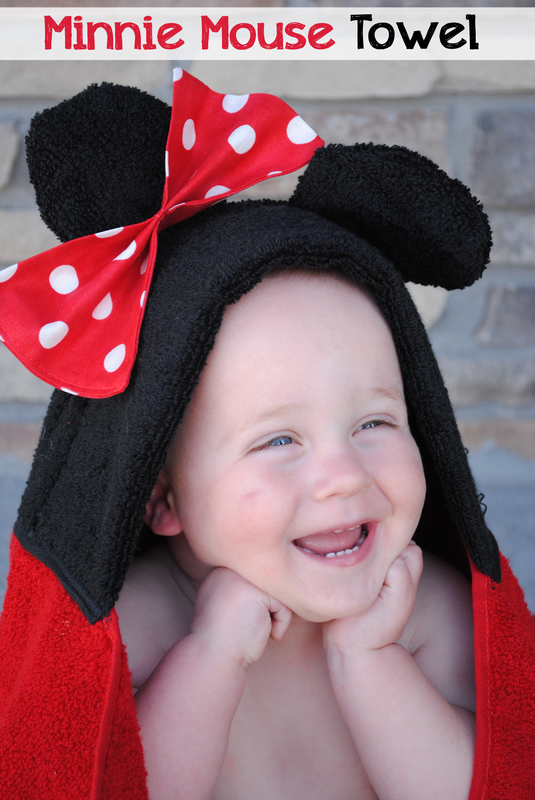 It’s a Minnie Mouse (and Mickey Mouse-take your pick) hooded towel. 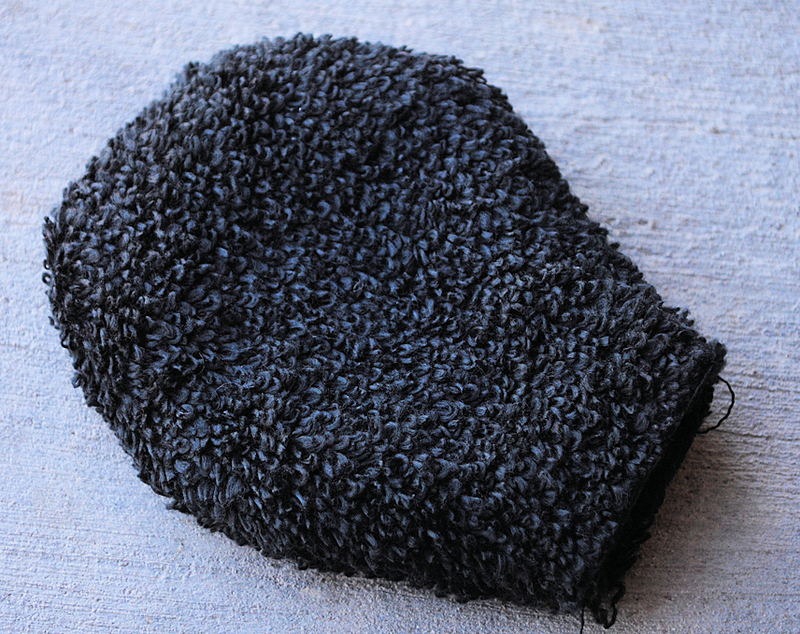 In this post I am teaching you to make the head part of this towel. 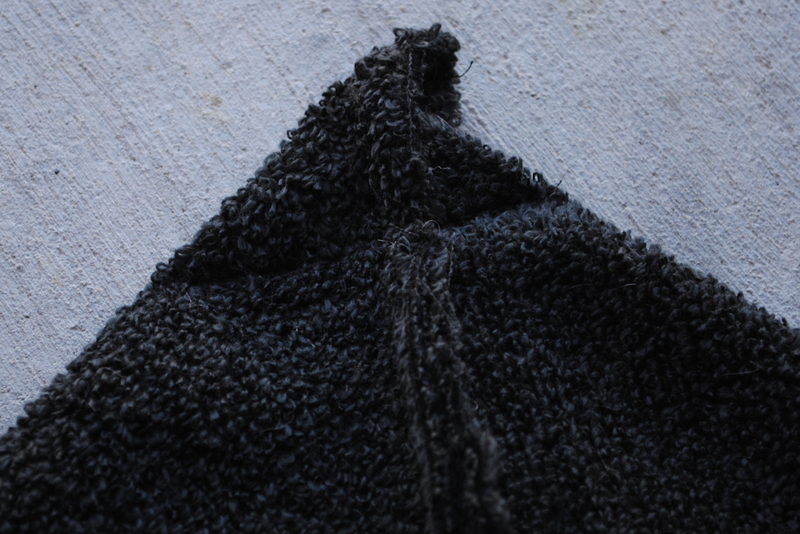 If you would like to see how I finish off my hooded towels and attach the hoods, see my basic hooded towel post. Now, flip that over and you will work on the underside, the side without the seam. With the extra piece of hand towel cut out your ears. You will need 4 ear pieces. 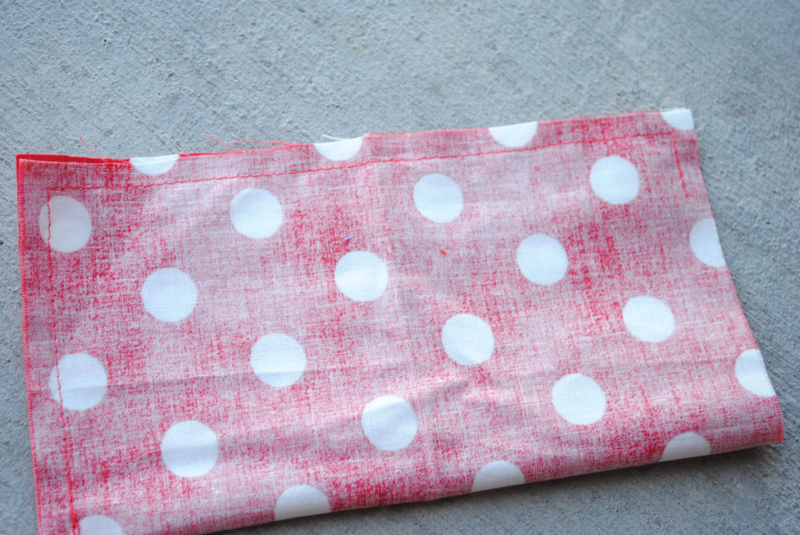 Just cut a large circle but make it slightly oval shaped so that you can sew it in place easier (see image below). Grab 2 ear pieces and sew them together leaving an opening in the bottom. Do that with both ears and snip off any excess on the bottom. 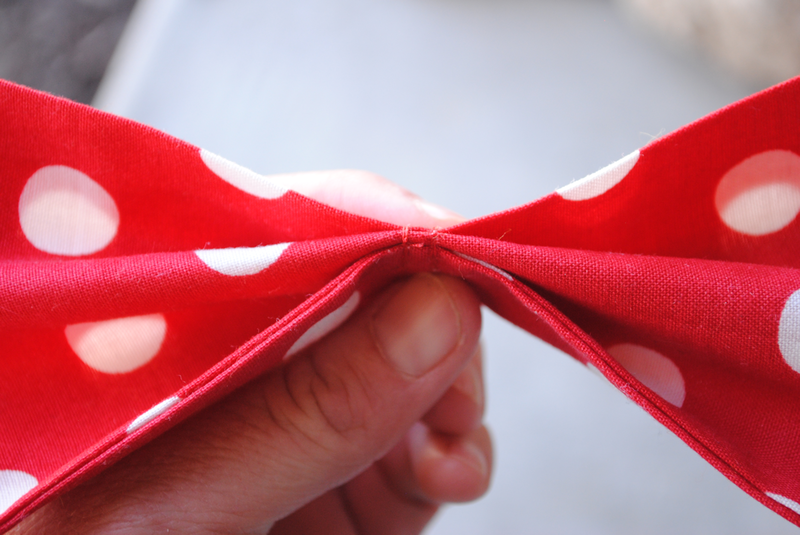 For Minnie-to make the bow either use red polkadot ribbon and tie it, or, use red polkadot fabric. Cut the fabric to be about 14 inches by 5 inches (it’s up to you how big or small you want the bow). Fold it so that right sides are together and stitch around it leaving a small opening to turn it. Turn it right side out, press it and then sew the opening closed. And stitch it in the middle to hold it. 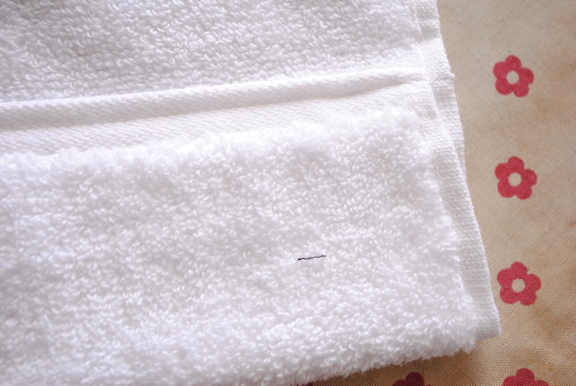 Hand stitch the bow to the towel where you want it. 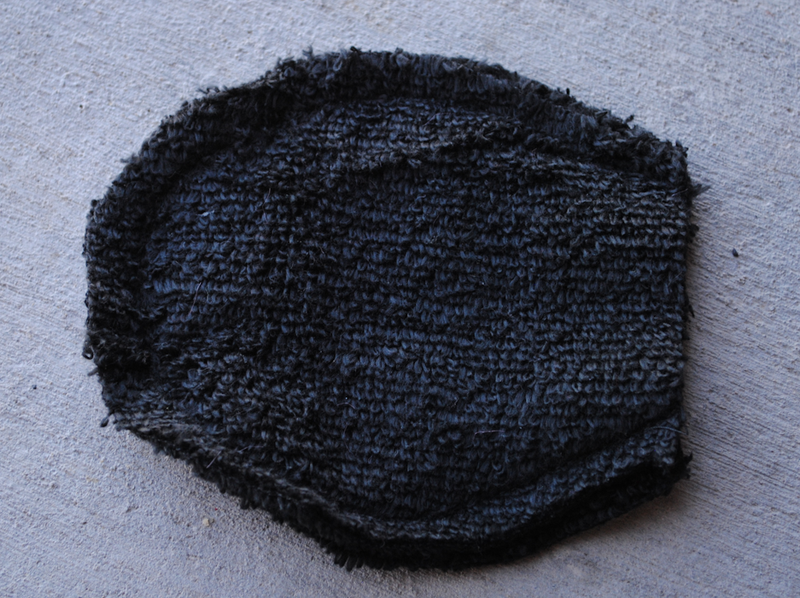 Now, fold your hood part in half so that the ears are on the inside and zig zag up the back along the raw edges. And you’re done! 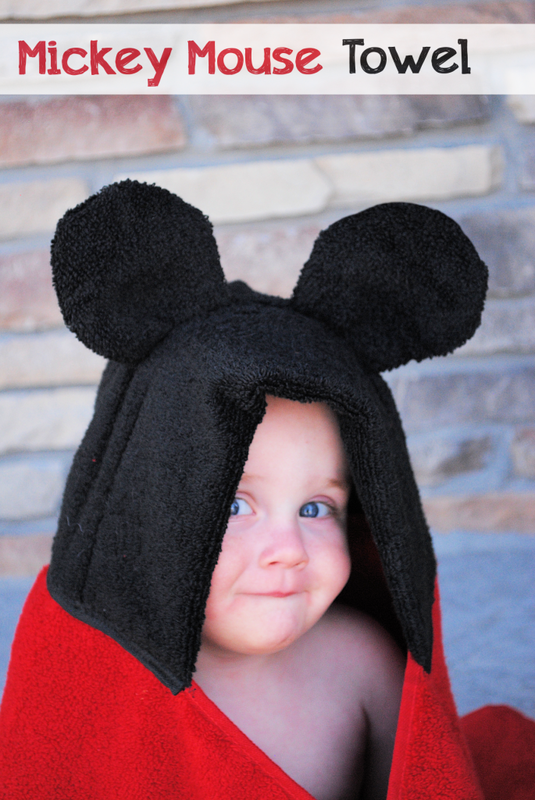 Just sew the hood to your towel and you’ve got yourself a little Mickey or Minnie Hooded Towel! And hey, if you haven’t been around for the others, here’s a few more of my hooded towels. I do a new one each month. My little girl would FLIP! Seems easy enough? I’m a novice to moderate sewer but this looks doable. Thanks for the great tutorial! Need to make these ASAP my kids love Mickey and Minnie!! That would mean cutting it so that it is a short and fat rectangle rather than long and skinny. STOP IT! This is ADORABLE ! My little one will literally freak when she sees this. LOVE IT! It was so nice to meet you at SNAP! I’m totally stalking you in every way possible (apparently I was missing a few of your social media options!)! Can’t wait to get to know you better! Ha ha! I had fun with this one! Nice to meet you too. :) SNAP was crazy but fun huh? How do the ears stay up? Do you not add any interfacing? They’re a little floppy. You could put something in them to make them more sturdy if you want. How do you attach the ears? I understand cutting the slit and pulling them through, but won’t they just pull or fall out? That’s what I thought ( and did), but I must have missed the step that said to do that. I just flattened everything and zig- zagged — hope it holds! Hi Amber – Absolutely LOVE your blog and all of your creativity!!! You are so very talented! I’m a bit envious! LOL! I just have to get in there and get my hands dirty, I guess. I’m so afraid of failure and making a mess of things . . . I don’t! Sorry! I used to do something like that and got so burned out that I had to quit and now I just blog. Thanks for this post! My daughter adores Minnie Mouse and this made the perfect birthday gift. She’s now asking for another towel for pool time. 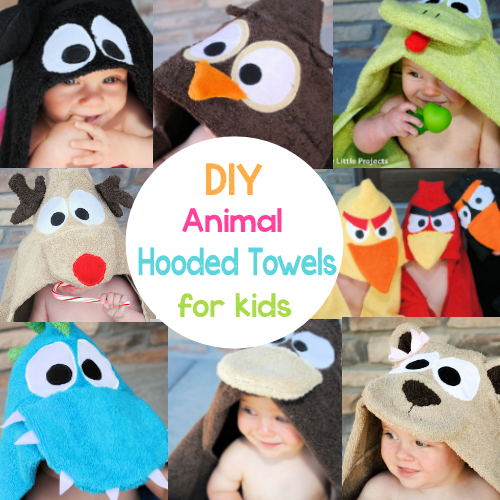 Looking forward to making more of your hooded towels. Ever think of making a lego type hooded towel? Love this! Bought my towels today to make this for my 2 yr old. It will be going to Disney World with us really soon. Can’t wait to have it finished. This may be a very dumb question, but what is the purpose of the first step? 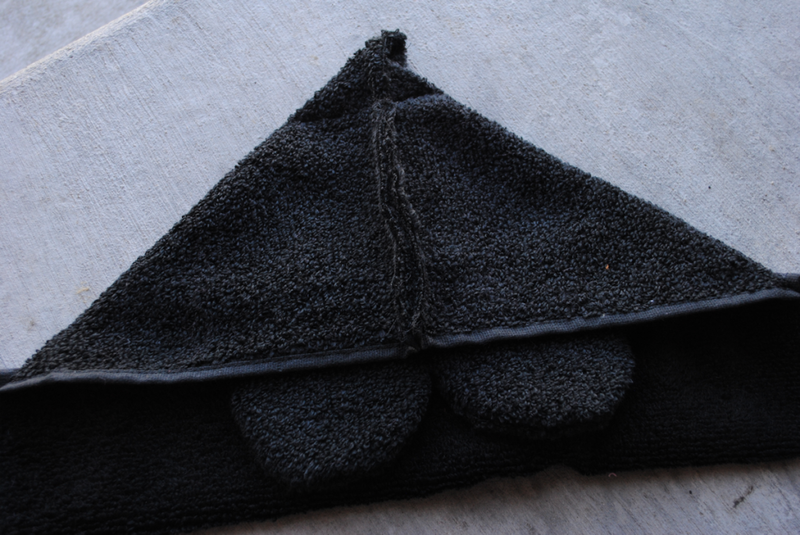 Am I missing something or would you not cut your hand towel long ways so as to have a pre finished “professional” front edge to the hood and use the finished ends for attaching the hood to the towel body, and sew the unfinished edge up along the back and cut the tip at the end? 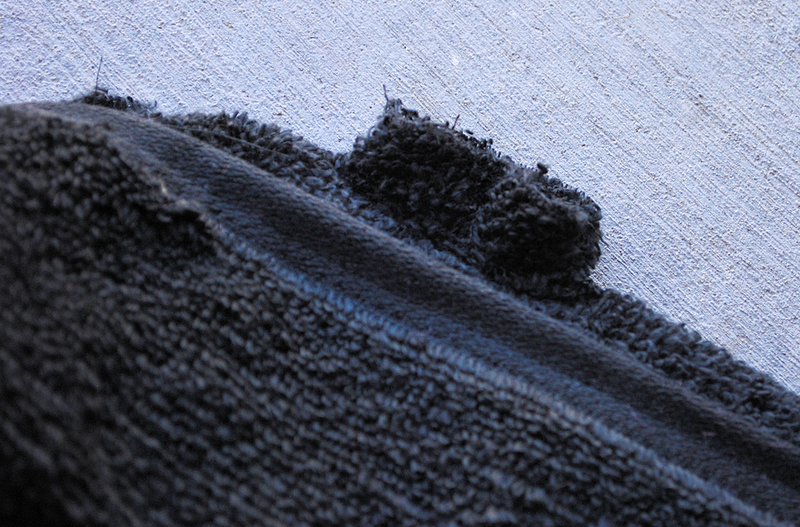 I guess what I’m asking is, the very first 3/4″ hem you refer to, what is it suppose to be for? You can do it long ways but it will be a very large hood. This makes is a much smaller, baby/toddler/preschooler size hood. 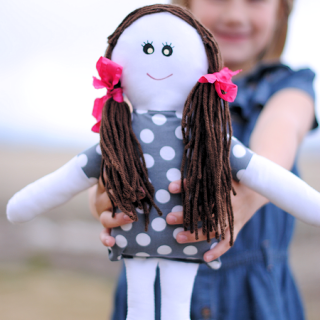 This is so cute and super easy to make. I made it tonight in about 30-45 minutes. Sorry-can’t understand what you are asking? Can you clarify? Hi. Love your towels! I’m just curious on how the shape of the bow holds when it gets washed? Any ideas? Not sure on that one. I gave that towel away. Anyone know?